LOCATION This fine family home is set in an appealing residential road, in the popular village of Broadbridge Heath, to the west of Horsham’s historic town centre. Here you will find a wide variety of shops and restaurants, together with the main line railway station with its direct service to London Victoria. PROPERTY This three double bedroom family home occupies a generous plot in a delightful road within the village of Broadbridge Heath. The current accommodation is of excellent size and lends itself to enlargement like others in the road ( subject to planning ) but currently comprises: entrance hallway, cloakroom, sitting room with fireplace, dining room and a kitchen/breakfast room fitted with a good selection of units. 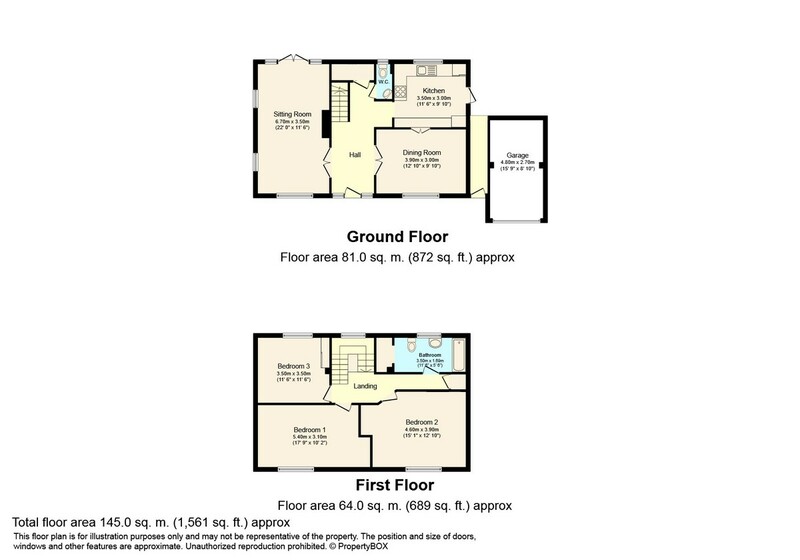 On the first floor there is access into the loft which offers potential to convert, similar to neighbouring properties. There are three double bedrooms and a family bathroom. OUTSIDE A private driveway provides parking for two vehicles, leading to the garage with power. The 98′ x 50′ south facing garden is a particular feature of the property and offers an excellent degree of privacy. The garden is predominantly lawned with well stocked borders and a patio.